It’s impossible to say anything bad about this, to be honest. Kaikhosru Shapurji Sorabji was born Leon Dudley Sorabji in Chingford, his father being a civil engineer of Parsi parentage from Bombay. As a teenager, Sorabji took interest in the work of Schoenberg, Mahler and Debussy among others and eventually created his own system of music, (which we don’t understand but he did). So far so routine but then he gets interesting: on 10th March, 1936, pianist John Tobin gave a performance of Sorabji’s work, described as “highly inadequate”, resulting in Sorabji banning any performances of his music. Another story is that he came into money and didn’t have to work again, but that’s less interesting. Sorabji himself performed for the last time in 1936. The ban on playing his music was not legally enforceable, but Sorabji was so awkward that this appears to have been adhered to. In 1956 he did what any rational person should do and moved to Dorset, where settled in The Eye, a house that he had built for himself in the village of Corfe Castle. Once ensconced, he almost always refused requests for interviews or information, “often with sharp messages” and warnings not to approach him again. Since he had independent means, he felt no need to be tactful or polite and had a sign at his gate stating: “Visitors Unwelcome”. What a dude. That’s all a good enough tale but then along comes Michael Habermann, who learned to play Sorabji’s music, and got permission to perform it. This is doubly impressive: many reports have it that Sorabji’s work is impossible to play, so Habermann had to overcome both this and the fact that Sorabji was a miserable bugger with a “do not disturb” sign on his front gate. 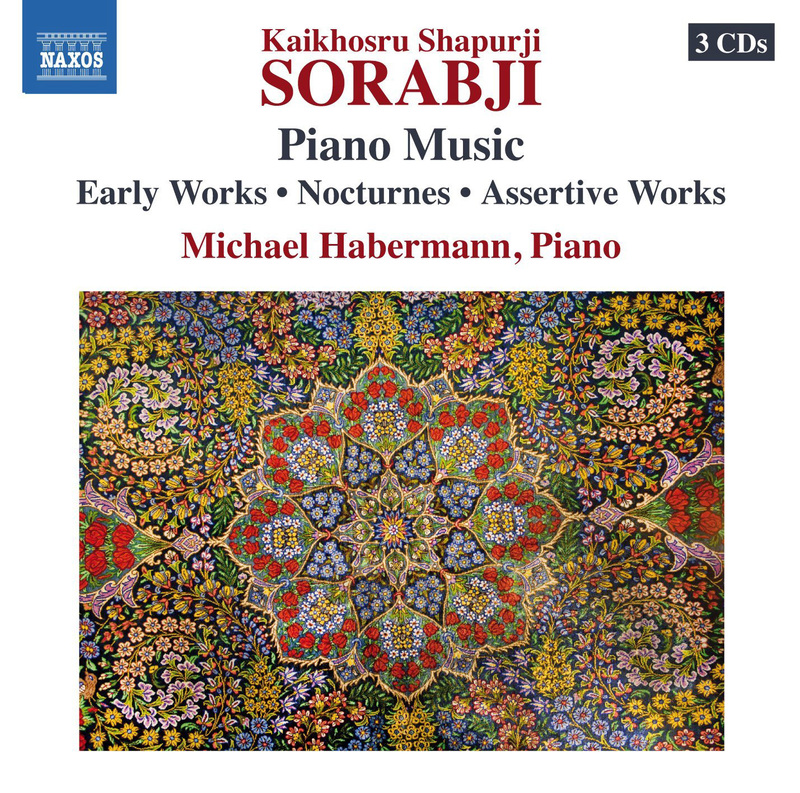 This three-CD box set features short compositions (Sorabji’s long works were very, very long) divided into three groups, early works, nocturnes, and assertive works. Musically: the fact it’s impossible to play will be lost on non-piano players but we guess it’s to do with the complexity. To listen to, it does not come over as complex and the overall sound is of simple and refreshing music. It’s got the same evocative and atmospheric feel as the Goldberg Variations, and the music wanders in and out of the brain as you listen. Fans of Debussy, Scriabin and Szymanowski will be able to tell their influence on Sorabji, though he writes in his own personal way. Considering Sorabji’s apparent standoffishness and refusal to talk to the outside world, he comes over through his music as warm and accessible. Even allowing the fact that this could be Habermann’s input, we like to think that Sorabji was endearingly eccentric. Excellent. We’ve reviewed this before but we still listen to it most days and the appeal of Sorabji made us think of him. It opens with just piano and keys being struck in the style of a youngster trying to compose a tune, 10 pairs of notes going down the scale from F (we think). Then it gets more complex, but remains delicate and rather lovely. The opening work is Suite Antique, in which Whitlcock takes various dance forms and plays with them. 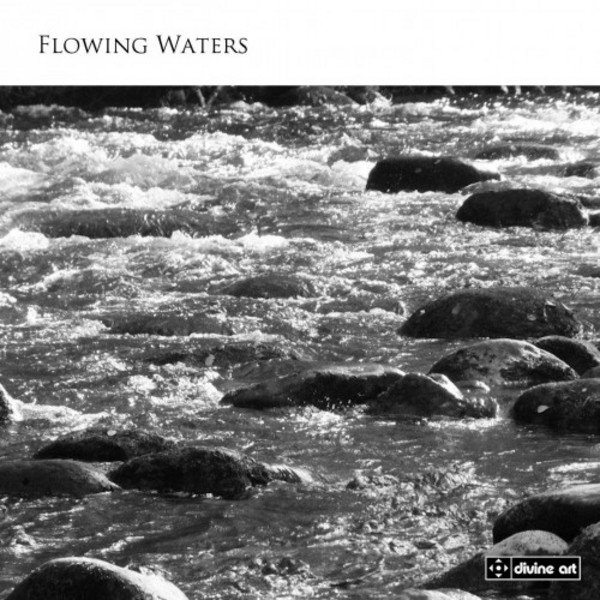 The second work is the title track, written about the River Teign in Devon (he’s from Devon and grew up overlooking the river). Also on here are other works including Three Pieces For Wind Trio and his satirical The Faust and Mephisto Waltz. It’s the kind of music you’d hear and enjoy in a television programme or film that could plink away either in the background or over a scene and work well. Not surprisingly, this is particularly true of the opening work, written with physical movement in mind. The opening section of Suite Antique, Allemande (a German style of dance) would be the music playing during a wartime drama while the lovestruck main characters drove through a rustic scene, just before the lad goes off to war, the music conveying the lovely scenery but with a sense of sadness. Like all the album, it’s simple in form and easy for the listener to appreciate quickly. The second piece Courante is more obviously a dance piece, a courante being a 16th century court dance with short advances and retreats. The piano playing (Duncan Honeybourne, Wai-Yin Lee) is good enough to appease the serious listener yet the music is gentle enough not to intimidate someone new to piano music. Highly recommended. Rather like Sorabji, we felt a connection with Whitlock, feeling the music reflected a nice chap. Unlike Sorabji he’s not dead so you can find his Facebook page and he looks a nice chap, too. After we wrote the review last time he sent us an email so he really is nice. Aw, bless. Whitlock and Sorabji, get them on your summer playlist today. This is out on Divine Art (DDA25121).